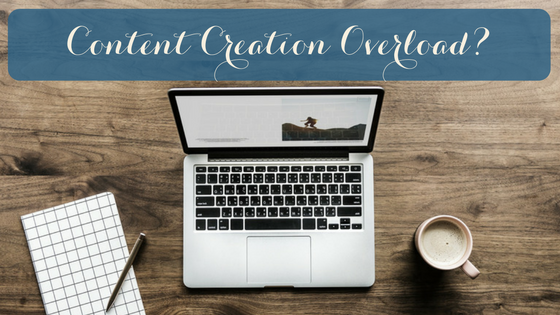 24 Apr Content, content everywhere – and what’s it all for? As entrepreneurs, we’re told to blog, to have a YouTube channel, to show up on Facebook Live and Instagram stories and wherever else your people are hanging out. It’s overwhelming and it’s also impossible, unless you have a dedicated team. After all, you have services to provide or products to make and promote. You simply can’t spend all your time on social media. That’s why it’s so important to connect with why you are creating content in the first place. That means knowing not just your short term goals, but your long term goals as well. A body of work that transforms your readers’ lives, by inspiring them to make positive change. A body of work that may transform your life, by positioning you as an expert, and perhaps forming the basis of a future book, a course, a product or a speaking tour. Great content is powerful stuff. But in these days of content overload, we all need to be discerning about what we read, watch or otherwise consume. That goes for your readers too. They’re frustrated with click bait, and yearning for real connection, for content that engages their hearts and minds, and takes them on a journey. How would you like your readers’ lives to shift as a result of what you write or share? Once you know the answer to that question, you can start to create content with wider and longer lasting ambitions, content that helps your reader move towards that goal. 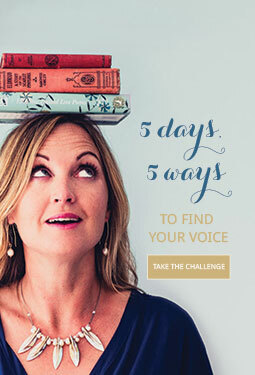 It comes back to knowing your message – knowing what you stand for, who you want to reach, how you transform their lives and how to connect with them in a way that resonates. And I’ll be exploring alllllll of that in my upcoming Illuminate Sessions – an all new, five-day series of FREE mini-workshops to help you get write to the heart of your work, craft a memorable message and build your personal brand. We start 21 May – click here to book your spot.